For a project manager, the further along a project is, the more invested one becomes in the tools used to keep track of, present, and ultimately complete projects. If the tools are robust and flexible, it is easy to become extremely loyal to a particular project-management environment. The acclimation to a particular tool is, undoubtedly, a boon when working with that particular tool. Reliance on a specific set of tools can be a hindrance, however, as those tools continue to age towards obsolescence. Below are some of the common reasons that our customers site as reason to adopt ConceptDraw MINDMAP, as an alternative to some other productivity software. No Subscription Renewal: Some business productivity software is sold with an annual cost. A ConceptDraw MINDMAP license gives ownership of the product for the life of the product. Low Upgrade Costs: When upgrades are released, they aren’t always free. ConceptDraw MINDMAP is updated with new features and templates several times per year, only charging for an upgrade when there are major changes being implemented. We do not have annual contracts to leverage money from our users, those who are interested can buy maintenance contracts that run from major version to major version. All in the interests of providing better service at a lower cost. Operating System Migration: While some productivity software exists on both Mac and Windows machines, none have been developed for both, concurrently, for the entire existence of the product. While some companies will port their software into a second environment, for release, most developers only support a single platform. 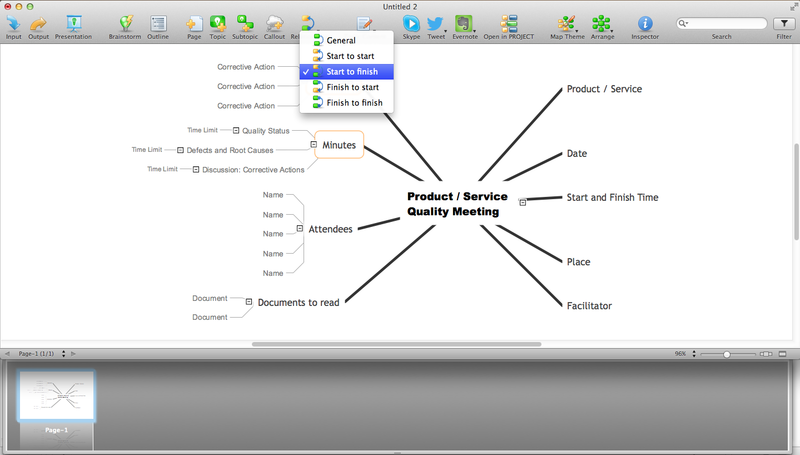 Some mind-mapping software tools have as many as two generations between their Mac and Windows versions, resulting in a huge disparity in function across the two platforms ConceptDraw MINDMAP has been developed for two separate platforms throughout its existence, meaning that the software is optimized for whichever platform you choose. Files made with either version of the software will work well with other ConceptDraw products, as well; and since one license allows a concurrent Mac and Windows installation, ConceptDraw can truly be called a productivity environment. Tools can be Inadequate for Many Needs: Mind maps are organizational tools. They can be used to complement project management as well as any other industry niche. They can be for brainstorming, outlining, taking notes, and making detailed relationship maps. CS Odessa recognizes this, and we develop our tools to interoperate with each other in unique and powerful ways. We have divided our mind map and our project functions into two separated but integrated tools. Our customers find this simplifies dealing with projects, and provides a greater level of sophistication. Some other tools use mind maps as the formative structure for other documents, including only features that are helpful in just a handful of applications. By defining mind maps in a less general way, many companies cast aside some of the most powerful aspects of mind mapping. Low Cost of Ownership: ConceptDraw MINDMAP has a low cost of ownership, provides a large assortment of training videos and materials, opens and saves in Microsoft Project format, closely integrates with ConceptDraw Sister products, and has competitive upgrades to all paid mind mapping products. For instance if you are a current user of Mindjet and would like to upgrade to ConceptDraw MINDMAP, or even to our ConceptDraw Office suite there is competitive upgrade pricing for you. Contact us today to find out the substantial amount you can save from single users to 100,000 users. 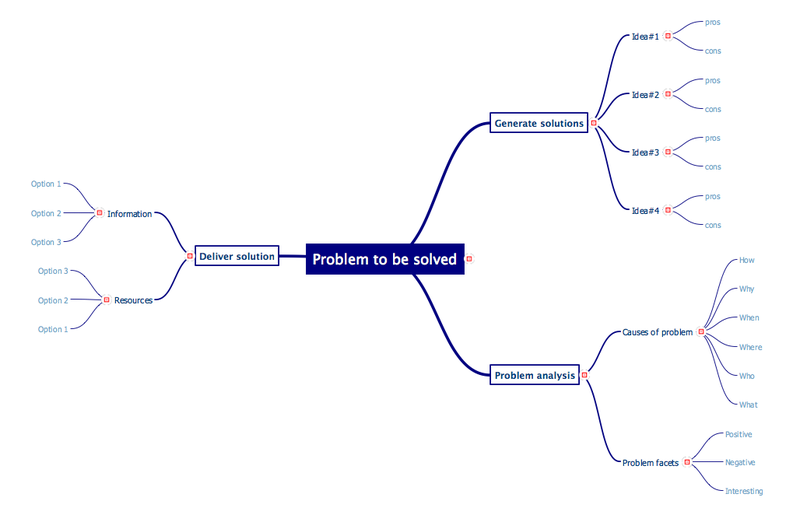 See for yourself the suitability of ConceptDraw MINDMAP by downloading our 21-day trial. The export options in ConceptDraw MINDMAP v10 allow mind maps to be exported in various graphical formats such as images, webpages, or PDF files. They can also be exported into Microsoft Office applications or into different mindmapping programs. Value Stream Mapping solution extends ConceptDraw DIAGRAM v12 software with templates, samples and vector shapes for drawing the current state value stream maps.